Day 1: Read Haggai 1-2. The fast has begun. I am waiting on the Lord. 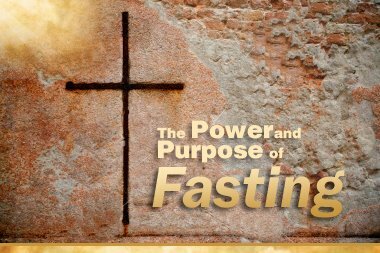 Fasting must be a great tool for God, if he calls us to do days and weeks of denial not only from food, but from the boundaries of economical and political systems, of human laws which demand food and of personal desires which starve and die when subjected under His command to fast. Day 3: I am not hungry at all. I feel a bit lighter and can actually feel my body cleansing itself. My resting while sleeping is even better than before and my mind is much clearer and focused. Read Song of Solomon 5:8. Day 4: Still not hungry at all. Now, I understand how Jesus fasted for 40 days and hungered only after that. Day 5: Read Matthew 27:3 and realized that the ones who betray do come back repenting. Day 6: Read Matthew 27:7 and noticed the word “strangers.” I am a little bit hungry. Day 8: God spoke to me face to face. Day 9: God confirmed His word from yesterday. It has been awhile since I have been able in such a way to feel the heavens open with every second spent in the presence of God. I am not hungry at all. Day 11: It is quite true that the flesh dies during fasting. But the dying of the flesh goes much further than the weakness of the body. Along with the flesh, die the desires of the flesh, and all human desires, along with the desire to hurt others when we are hurt and even the desire to be ourselves, until only the desire to be like Him remains in us. 1. Is. 58:2 These were people who wanted to find God, but did not want to be found by Him, for when a person is found by God all human plans must be left behind in order for the will of God to be done. 2. Is. 58:3 Require all your things from God, may mean that they fasted with the intention to receive something from God, while God sees fasting as a way to bring His plans to realization. 3. Is. 58:4 Not the many words from v. 3, but their fasting was heard before God. 4. Is. 58:5 Definition of humbleness in fasting, which is clearly not passive but it is an action. This action is clearly defined by God with 8 verbs directed outward producing results around the person (v. 6-7), and 4 verbs directed inward producing results within the person (v. 13). 5. Contrary to all human understating not the proper foods, but the absence of food brings health (v. 8) and strength (v. 11). Day 17: Woke up extremely hungry. Read Psalm 25. God spoke to me through Isaiah 43:5; I now understand what it means that a man shall live not by bread alone, but with every word of the Lord. Days 26: A series of radical changes and answers to prayer occurred in unexpected ways – unexpected because they were not natural ways that one may anticipate or understand naturally, but rather supernatural and miraculous. Walls which had been built for decades fell and situation which had been developed for generations and centuries came together in a divinely inspired plan which changed the past, the present and will change the future. These were accompanied by heavy anointing during prayer which cannot be described except as an open channel of communication with God. Day 27: As the end of the fasting approaches, the body feels more and more hungry. Brief blackouts and lack of balance become more frequent. However, prayer time has advanced into an absolutely clear line of communication. While attempting to pray with a certain list of needs, the Spirit audibly and visibly shows places, people, situations and plans for the future which carry meaning so higher that the prepared list of prayer needs seems inadequate in the presence of God. 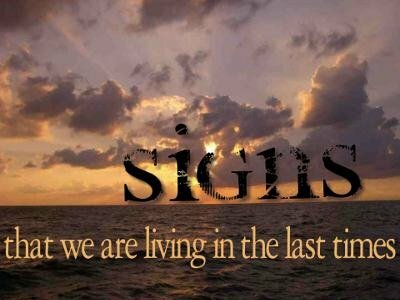 His plan becomes real and its reality is so strong that every other thought, feeling and even physical and emotion sensations looses meaning as one realizes their triviality and temporality in comparison with the supremacy and allness of God.